St. Regis Hotels & Resorts has confirmed the highly anticipated The St. Regis Bal Harbour Resort will open on January 19th, 2012. The property is set to reveal the affluent Bal Harbour enclave as a coveted international destination: at once a secluded escape with unrivalled amenities and a destination at the intersection of art, design and fashion all within reach of the vibrant energy of Miami. As one of the nation’s most impressive oceanfront developments, The St Regis Bal Harbour will offer guests a new dimension of bespoke luxury with the resort’s 214 elegant, ocean view rooms and suites and 307 residences in three all-glass towers rising 27 stories above an expansive stretch of beach. The magnificent resort will offer signature St. Regis Butler Service, a sprawling Remède Spa, a world class dining experience at Jean-Georges’ restaurant J&G Grill, exquisite interior design by Yabu Pushelberg, renowned contemporary art and the finest finishes with one-of-a-kind West African Movinque wood and Chinese God Flower Stone Marble from a private quarry commissioned exclusively for the resort. Designed by Sieger Suarez Architectural Partnership with interiors by celebrated design firm Yabu Pushelberg, guestrooms will reflect a contemporary Art Deco style, a subtle nod to Morris Lapidus, the legendary architect of neo-baroque modern Miami. Ranging from 650 to 2,800 square feet, all guestrooms will offer expansive private balconies with ocean views. The exclusive 2,800 square foot Presidential Suite will be located on the 24th floor and accessible via private elevator. Here, guests will discover a gourmet kitchen, a media room, two bedrooms, a dining room and 1,200 square foot private ocean-facing balcony. The resort will be wi-fi accessible and guests will enjoy state-of-the-art hotel technology, such as programmed keycards that automatically whisk guests up to their guestroom floor. J&G Grill will be The St. Regis Bal Harbour Resort’s signature restaurant presented by world-renowned chef Jean-Georges Vongerichten. Featuring the exquisite cuisine of this international star, J&G Grill at The St. Regis Bal Harbour Resort will set new standards for Bal Harbour as a world-class dining destination. The restaurant will stay true to the chef’s concept of blending Asian and French cuisine, with a selection of dishes from his restaurants around the world. A contemporary bar and grill set in a convivial atmosphere, J&G Grill will be a unique dining experience where guests, residents and locals can enjoy the highest quality meats and freshest fish, vegetables and fruit from the local market. Additionally a remarkable, temperature-controlled Wine Vault will house one of the largest wine collections in South Florida showcasing 2,500 international vintages. The St. Regis Bal Harbour Resort will feature an oceanfront grill for casual oceanfront dining called Fresco focused on South American-influenced cuisine as well as Atlantico, a breakfast, lunch and dinner restaurant, with a focus on seafood. Poolside cabana and beach services will complement the resort’s private beach and pools, including an adults-only pool area with exclusive day cabanas. 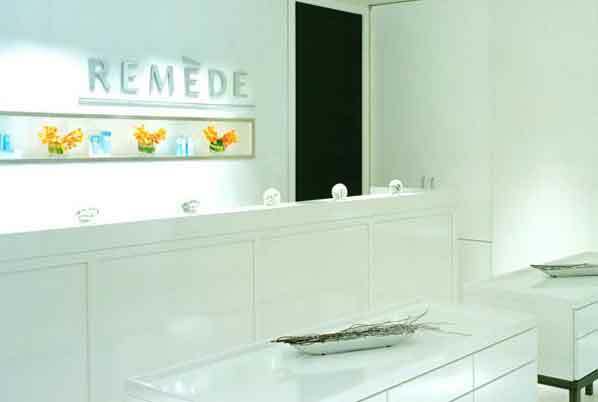 The newest Remède Spa, exclusive to St. Regis Hotels & Resorts, will feature 14,000 square feet of blissful surroundings including 12 treatment rooms, a full-service salon, men’s and women’s lounges, sauna and steam rooms, and a high tech fitness centre with an ocean view. Offering the latest in treatments, the tranquil spa will allow customized indulgence that surpass the discerning tastes of St. Regis guests. A St. Regis Children’s Club will be on-site to cater to the resort’s youngest guests, complete with educational programs and interactive games as well as an innovative teen program with exciting excursions. The Residences at The St. Regis Bal Harbour Resort offer exceptional private residences at the exclusive beachfront property. The spacious two and three bedroom residences will feature innovative designs, state-of-the-art kitchens, and private balconies boasting large outdoor living areas and breathtaking ocean views. Residents enjoy access to all of the incredible amenities of the Resort. The Residences at The St. Regis Bal Harbour Resort will begin closings this month. The St. Regis Bal Harbour Resort Residences are located in the chic and internationally renowned Village of Bal Harbour directly across from the Bal Harbour Shops, one of the finest designer shopping destinations in the world. 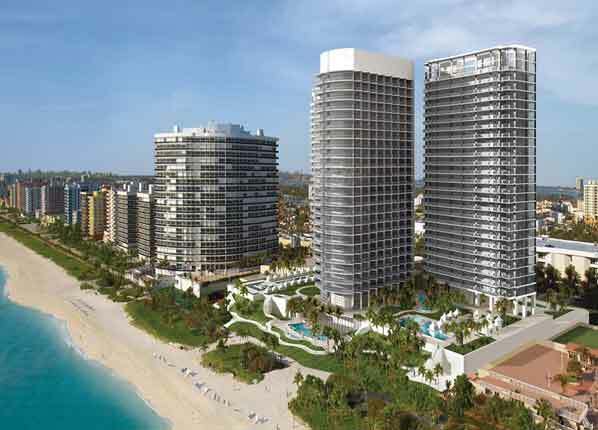 The St. Regis Bal Harbour Resort will span nine acres on a breathtaking 1,000-foot stretch of white sandy beach. 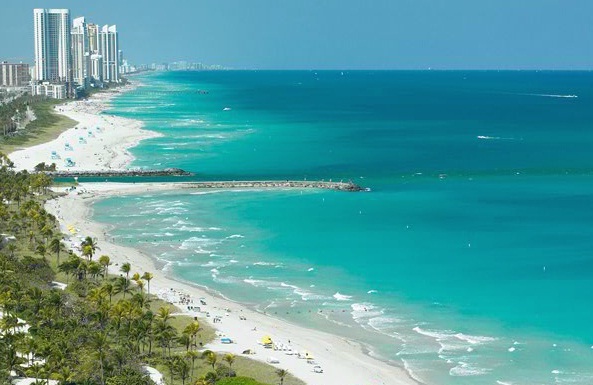 The exclusive enclave sits on the northern tip of Miami Beach, just minutes from energetic South Beach and downtown Miami, and convenient to two international airports in Miami and Fort Lauderdale-Hollywood.